Although I don’t possess an artistic bone in my body, I have forever enjoyed juxtaposing colour. 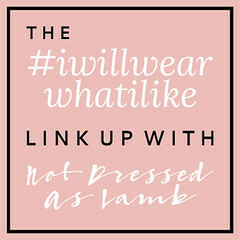 Yet when I look at the rails of clothing in my dressing room, (or at my Instagram feed as a whole), the main part is unequivocally played by neutrals and animal print. 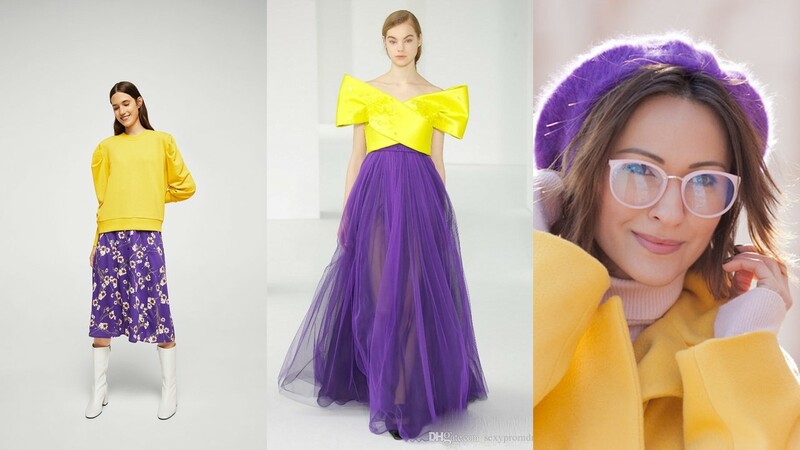 Reds have an oscar-worthy supporting role; I have several standout dresses in various shades. 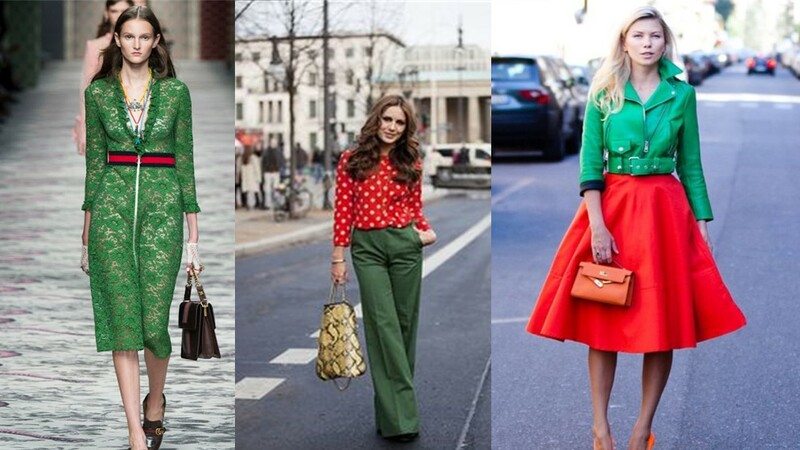 Greens and blues, (navy, teal and turquoise), have a minor role in my wardrobe. Any other colour however, is a mere extra, there in the background, never taking centre stage. It made me think that I should be more experimental. Not only that, my work is evolving. 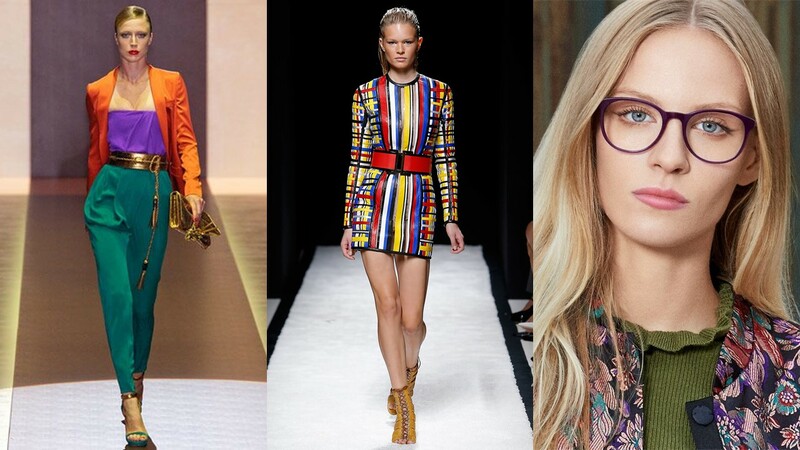 I’m writing increasingly about eyewear and how to style it. I’m passionate about it. There isn’t another accessory which has the power to alter one’s appearance while simultaneously serving a vital purpose. Nor is there a more important fusion of fashion and function than a pair of glasses. 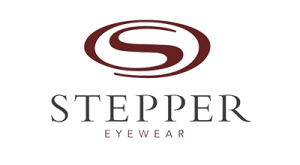 I encourage people to step out of their comfort zone when choosing new eyewear and often suggest a coloured frame. I recognise that it an investment, so it has to work with more than just one outfit, or colour. Because of that, I need to be sure that any advice I give is based on more than just my opinion. I need to know for example, than an orange frame will work with several colour combinations and not just neutrals or other orange clothes. So in the absence of artistic prowess, I turned to science to find out how best to put colours together. 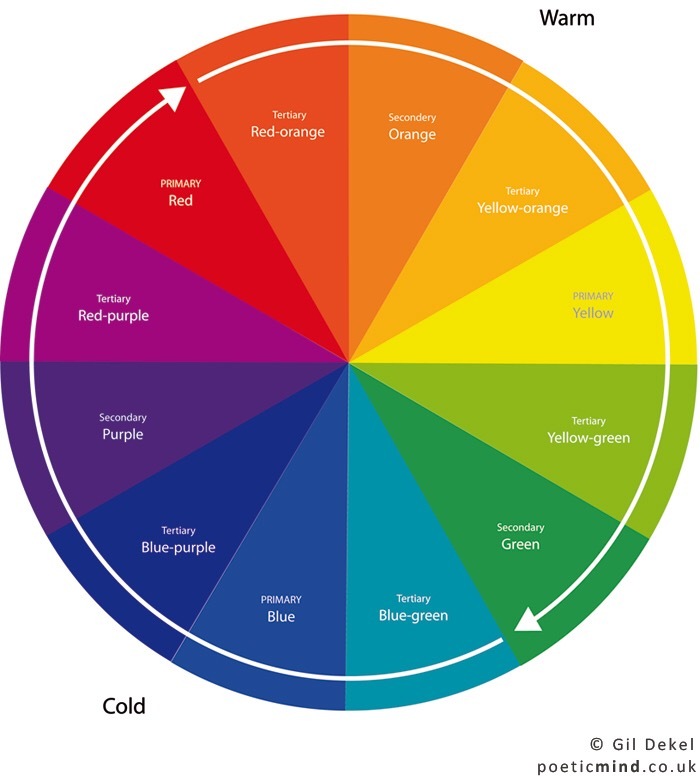 The colour wheel is a useful guide to show how to put different colours together. Every colour-conscious industry uses it including interior design, tattoo artistry and fashion. It was developed by Sir Isaac Newton in 1666 and is the basis for all colour theory. There are 12 basic colours called ‘hues’. Three of these are primary colours, red, yellow and blue. These cannot be made by adding or mixing other colours together. The remaining nine hues are created by combining primary colours. Lightening by adding white (called a ‘tint’) and darkening by adding black (a ‘shade’), creates muted versions. The three secondary colours are green, orange and violet. These are created by combining two primary colours — red and blue make violet, yellow and blue make green, and red and yellow make orange. The remaining six are tertiary colours which lie between the primary and secondary colours. Each primary colour is directly opposite a secondary colour on the wheel. These are complementary colours. The human eye notices the contrast between complementary colours more than other so any combination of these is particularly eye-catching. Cobalt blue and orange is one my favourite juxtapositions. Triad Colours are equidistant from one another on the colour wheel, for example, orange, purple and green or red, yellow and blue. Such combinations create the most balanced form of contrast. This is useful when composing an outfit together with a lot of elements. Analogous Colours are next to each other on the colour wheel. This creates minimal contrast and gives a consistent look. 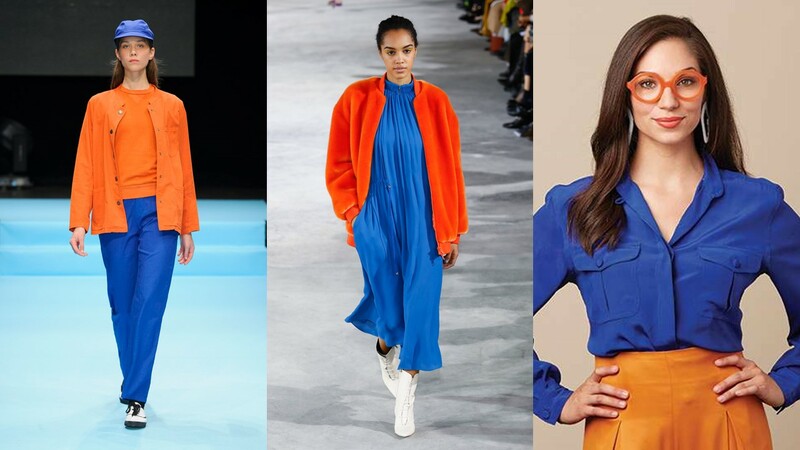 These are general guidelines rather than prescriptive rules, but it shows that for example, an orange frame will work beautifully with cobalt blue its complementary colour. 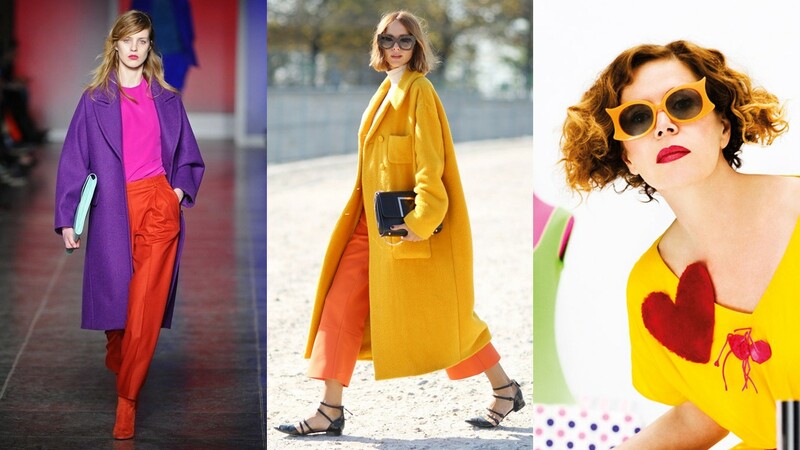 Orange makes a beautiful trio with its triadic counterparts purple and green and it looks harmonious with yellow-orange, it’s neighbour on the colour wheel. And there are the neutrals (black, white, grey) and animal prints to consider too. I can;t wait to put these colour theories to the test. Let’s see if I can inject a few more hues into my wardrobe. Next Post A Review Of iCET Continuing Education And Training Event For Optical Professionals. My wardrobe consists mainly of various shades of blue with a little red and black thrown in. Maybe it is time to rethink my colours. I need to study the colour wheel more in depth!! Most of my winter colours are neutrals. I tend to be a little more daring with colour in the summer months. There are some stunning colours starting to come into stock for Spring/Summer. So, the temptation is there!! This is a very good simple description that can help us all put new color combinations together! Can’t wait to see some of your colorful outfits.